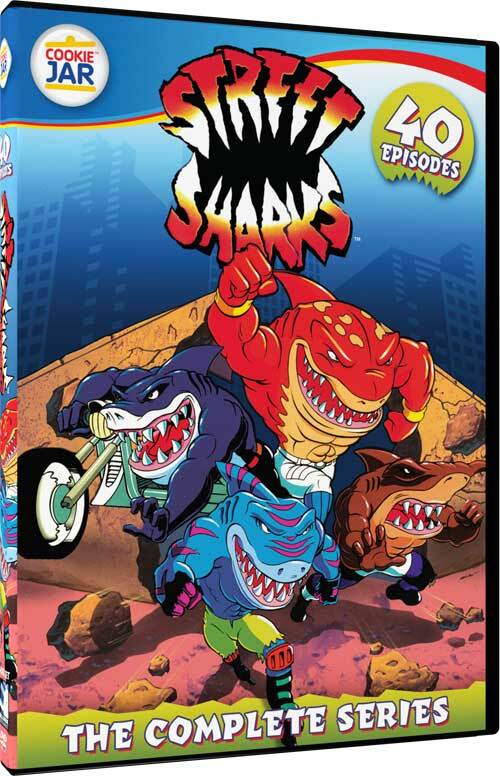 One of the admittedly stranger TV series of the 1990′s was DIC’s Street Sharks, which ran from 1994 to 1995. Created by David Siegel and Joe Galliani of Mr. Joe’s Really Big Productions, the series followed the adventures of four teenage brothers who were transformed into human-shark mutants by an evil scientist’s genetic manipulations. Yes, yes, the show was riding on the coat-tails of Teenage Mutant Ninja Turtles — in fact, it directly spoofed Turtles on more than one occasion. 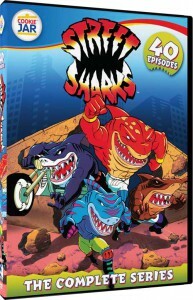 Previously, only a handful of Street Sharks episodes have been available on tape or DVD. But now Mill Creek Entertainment have announced that they are releasing all 40 episodes of the original series in a 4-DVD set at a reduced price. The set is available now at Amazon and other dealers.